I have been behaving myself here in Williston, ND this week. My consulting work keeps me indoors but when it 18 degrees below ZERO and that’s without windchill, just scraping the windows after starting the vehicle is a challenge for this Houston boy! As you breath through your nose you can feel the hairs inside freeze! Let’s talk beer now. The day I arrived I had lunch at the Williston Brewing Company, no, they don’t make beer, but they do sell it. I enjoyed Summit Brewing’s Saga IPA with my lunch. It is a very good IPA, nice bitterness and really good aroma. Centennial, Amarillo, Citra and Rakau hops are used to bring out the flavors. I may try to clone this very pleasant beer. On a subsequent visit I indulged my taste buds with an offering from Fargo Brewing Company, their Wood Chipper India Pale Ale. Oh my, it was a surprisingly good beer. They use Horizon hops for the bittering and then hopback and dry hop with Chinook, Cascade, Simcoe and Centennial hops for a great aroma. I guess North Dakota can make some very good beer! I went back for a third visit. You may be wondering if this is the only establishment in Williston. It’s not, but they have a great selection and I like the atmosphere. On this visit I tried the Goose Island 10 Hills pale ale. My opinion, just an ordinary beer. It didn’t do anything to capture my attention. You know what, I’ll probably go back tomorrow and see if I can select something new and different. I am scheduled to be in Williston for two weekly trips per month until May. I won’t drink every beer on their list. Why? They have Bud, Bud Light, Bud Select, Coors, Coors Light and, well, you get the picture. I’ll stick with the craft beer side of the list. Stay tuned for more from the Frozen North! Saturday was supposed to be a morning trip to NRG Stadium here in Houston for the RV and Boat Show. The return trip was in the trip advisor as a stop at Karbach Brewing Company for beers and a tour. As they sometimes do, plans change and options must be assessed. The participants on this field trip were good friend John, son Benjamin and his fishing buddy David. Benjamin and David decided to check out the Boat Show on Friday evening. Both of the boys were interested in a seminar on winter fishing for Speckled trout. That lead to the first change. Even though storms were forecast for Saturday morning, the 25/26 year old fishing fools took the boat down to Trinity Bay on the recommendation of the seminar speaker. They got very wet but did catch a few fish. Two participants had now bailed on me. The storm did materialize and it hammered our house with wind, rain and some hail from near 4;30 AM, when the boys left, until 6:30 AM! My son’s dog hates lightning and thunder so I was trying to get her settled down, I will chat with him later. John realized on Friday evening when I sent him the remindern that he had scheduled the Direct TV installer for Saturday AM. Due to the stormm the installer was late and he was begging off. So, what’s a guy to do? I called daughter Lisa at 11:30ish and sought out her company….bag the Boat Show and head to Karbach Brewing Company. I needed to salvage part of the day’s plan. She agreed and off we started. It was now near 12:45 before we got on the road. Just for grins and because of the storm, I asked her to check with Karbach and make sure they were open. 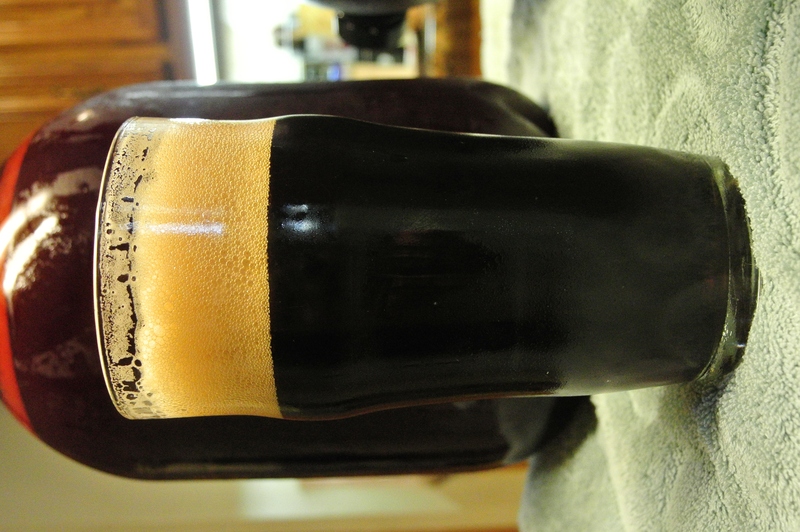 Oops…….Karbach hours on Saturday are 12:00 to 3:00 – Mmmmm, just a bit too short. Plan C now. Let’s check on Southern Star Brewing Company in Conroe. Good news, on Saturday they are open from 1-5 PM. We could be there by 2:00 if we were quick. So, turn the Suburban around and head North Westish in the direction of Conroe, Texas. 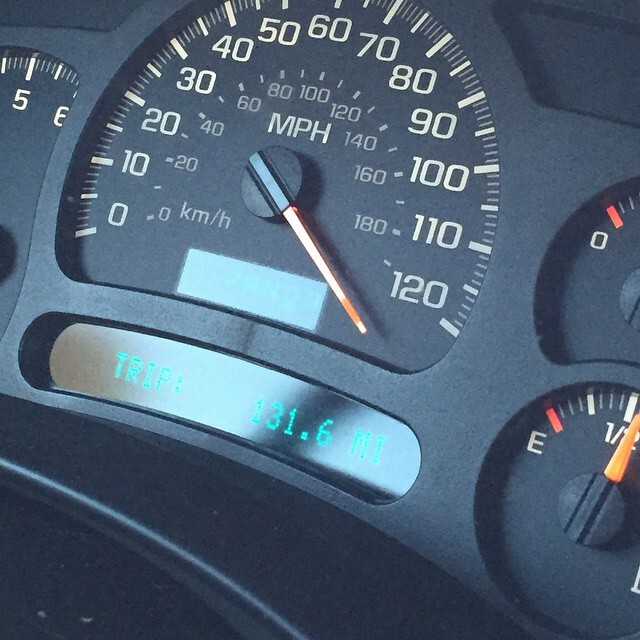 Lisa snapped a shot of the speedometer of the Suburban as we dashed off toward Southern Star Brewing Company. We made good time! Here is the “Paul Harvey” – The rest of the story twist. The electronics in the dash are messed up. While parked the speedometer reads 80 mph…..so, I am not a menace on the highways, but it sure makes a fun image. Great news on arrival, the first pint is “on the Brewery”….Yee haw cowboy! We did behave since I was driving but Lisa did go after a few of the bigger beers, the Valkyrie Double IPA was her first and she finished with one of my favorites, the Buried Hatchet Stout. 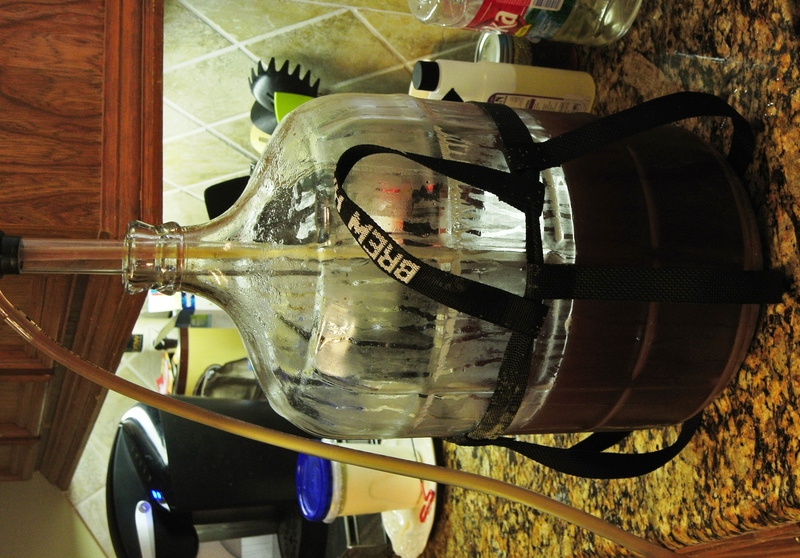 I experimented and tried the Waloon, a grisette style beer that is not broadly brewed. I liked it but it would more appeal to my wife. I also sampled the Old Potentate, it has a nice maltiness and is hopped very nicely. 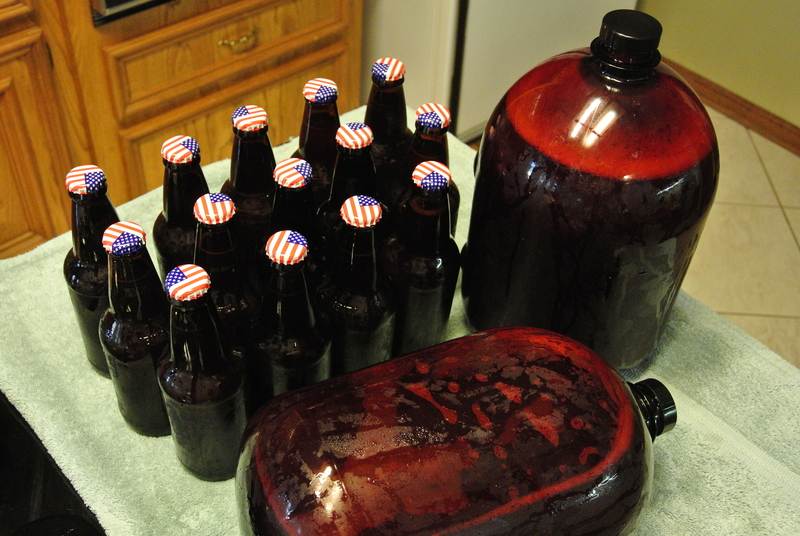 I finished up with a Pine Belt Ale. My favorite of the day. We took the brewery tour. It was a high speed, energetic yet informative tour….The teaser for is the description of the future plans for capacity expansion and an increase in the amenities that will set it apart from many of the local breweries. 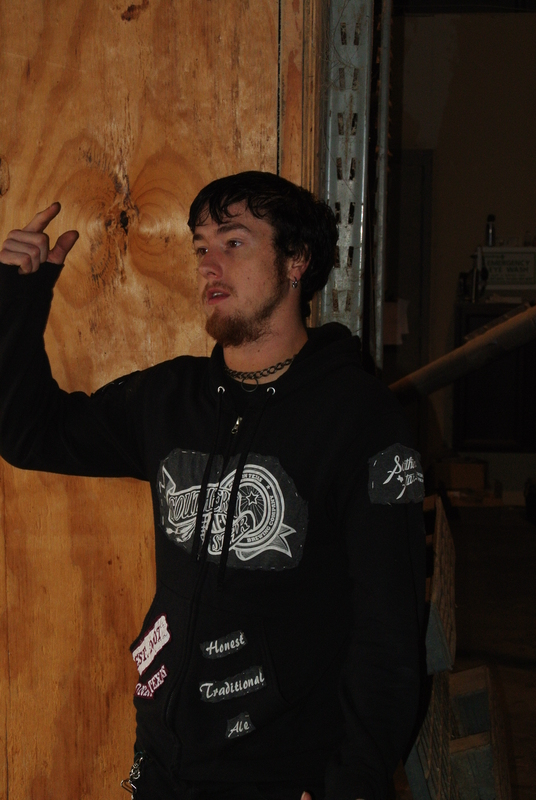 There will be a nice outdoor grounds, and Old House on the location will most likely house the taproom. The brewery expansion will be significant. Look for news of the opening in late 2015! The Tourmeister…..very entertaining and knowledgeable. Loves his beer and is passionate about brewing. Lance at the bar ordering his next libation. Lisa. not my daughter Lisa, but Lisa from College Station – she knows her beer too! She was working her way through the sampler. Lance is still trying to decide. 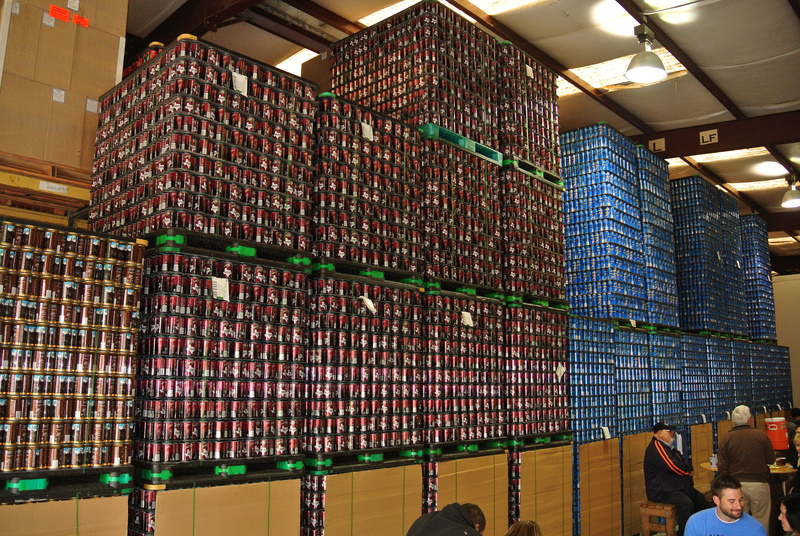 Empty cans waiting to be filled with the liquid gold! The blue cans are the Bombshell Blonde, the number on seller, the Buried Hatchet Stout the brown cans and the center pallets are the Pine Belt Pale Ale cans. 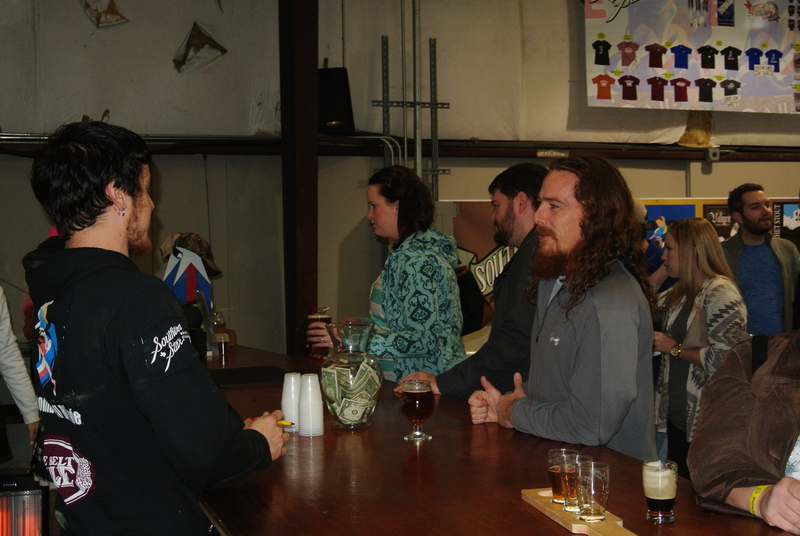 The brewery is a very casual and a great atmosphere for meeting people. Granted the cool weather and the Holiday season may have kept the crowd down. 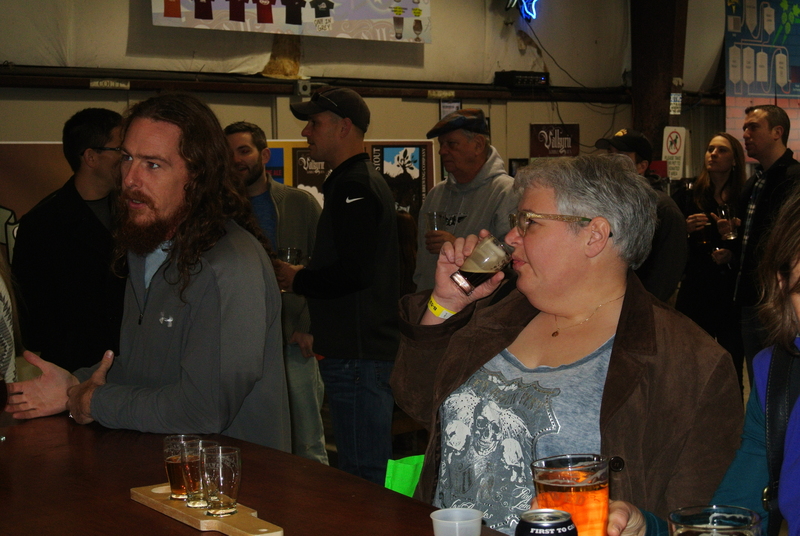 We wound up making some new acquaintances, got to know a few by first name and if you are there…….you are a lover of beer! Leave a comment Posted in Ale, Beer, Local Breweries, Travel Tagged Conroe Texas, Homebrew, Southern Star Brewery, tap room.